On my first morning of working in the trench at Silchester I donned my dungarees, dinosaur t-shirt and bright pink wellies, then my best friend Emily and I marched out onto site with our trowels and a feeling of consternation about what on earth we were doing. Within a few days the two of us had settled in to the swing of things and finally given up our futile effort of keeping everything we owned clean. The guys on the dig seemed to take to the dirt a lot quicker than us, but in the end we accepted our muddy fate. By the end of the 4 weeks the two of us were barely recognisable with matted sun-dyed hair, mud-ridden clothes and a lackadaisical desire to sit outside with bottles of cider. The glamorous transformation into archaeologists had begun and we would never be the same again. Nearly 3 years have now passed since that first day of digging and my experiences as a woman working in archaeology have, on the whole, proven to be extremely positive, with open-minded attitudes and equal opportunities for all; not only with regards to gender but also life-style, interests and personal choices. Everyone is accepted, partly because we all share the same love for digging up old things from the dirt (a love which many of my non-archaeology friends will never comprehend). However as I have found out, this equality is not the case across the whole board of academic excavations, and I am hoping that any gender-driven discrimination is brought to light, because the image of women in archaeology should ultimately mirror that of men. 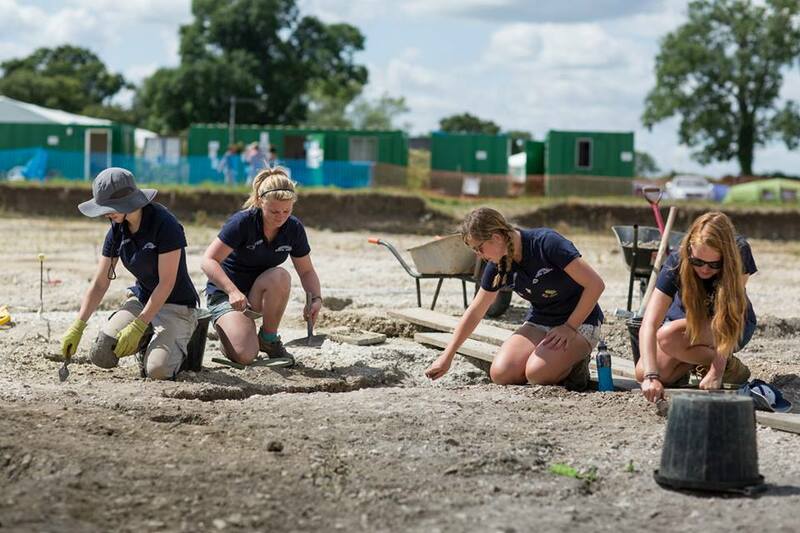 I have spent my last three summers working at Silchester, and with such a large influx of students and volunteers, a great range of diversity hit the scene every season. Men and women of differing ages and backgrounds gathered together from all over the UK and beyond with a shared interest in archaeology. The best thing about working at Silchester was that even though there were so many different people, there was never a hint of discrimination, and it only took a few days for a muddy micro-community to take form. Similarly, last summer I excavated on the Isles of Scilly with a mixed group of people of different ages and gender. Although a lot smaller in comparison to Silchester, Scilly was the same in that everyone shared a mixture of tasks, some physically demanding and others less so. The group spirit of the field team was so strong that we all dined and explored together in the evenings and on our days off, and one night we even had a novel beach barbeque in a wheelbarrow. Even in times of crisis -such as when I lost a fight with a Neolithic stone- the group came together to help each other out. To be honest at both Silchester and Scilly gender issues never really crossed my mind, as everyone pulled together to get the work done. Unfortunately, my experiences elsewhere have not always been so positive. On another excavation undertaken overseas in 2013 I found myself and close archaeology companion Lorna being constantly given tasks such as planning and finds processing, and generally being held back from undertaking any serious physical activity. We were rarely allowed to carry heavy loads or equipment back from site, whilst the men struggled under the weight of it all. Admittedly at the end of the first hot day digging I took this as a blessing, however I soon began to realise that I wanted to play an equal role and that those in charge obviously believed we were less capable of manual labour. As a result the two of us took it upon ourselves to show off our muscles and dig like we’d never dug before. Therefore there is definitely room for improvement in some attitudes, and I wholeheartedly believe that men and women each have their own personal strengths and weaknesses regardless of their gender. Nevertheless my experiences in the field have generally been very positive, and I have met such a fantastic mix of people in every case. Now that University has sadly ended, I have noticed that a number of my female friends have gone on to do postgraduate study or are pursuing other forms of archaeology or heritage jobs, whilst many of my male friends have entered into the world of commercial field-work. I don’t think that this pattern is a reflection of any type of inequality within the sector, but more a reflection of personal choice and preferred working environment. As for me; I am currently working in Finds Processing but I know that one day soon I will don my steel toe caps once more and be reunited with the ancient soils. Lizzy Raison. A bit about today’s blogger – Since finishing my degree in Archaeology and History at Reading I have been all over the shop trying to get heritage and archaeology work under my belt. Last summer I went to work at Silchester as an Environmental and Database Assistant, before taking part in the Neolithic excavation on the Isles of Scilly. I then worked for the National Trust up until Christmas in an unpaid conservation role, which gave me fantastic experience in the day to day running of a historic property. Plus I got to live in a POW hut in the eerie estate woodland for three months, which was an adventure in itself. Since the New Year I have been working as a Finds Processor at Cotswold Archaeology, which has so far proved to be a great job. The people are lovely, there’s tea on tap and most importantly I find myself learning something new every day. Interview with Wendy Matthews and Macarena Cardenas – what does fieldwork mean to you? What does fieldwork represent for you? 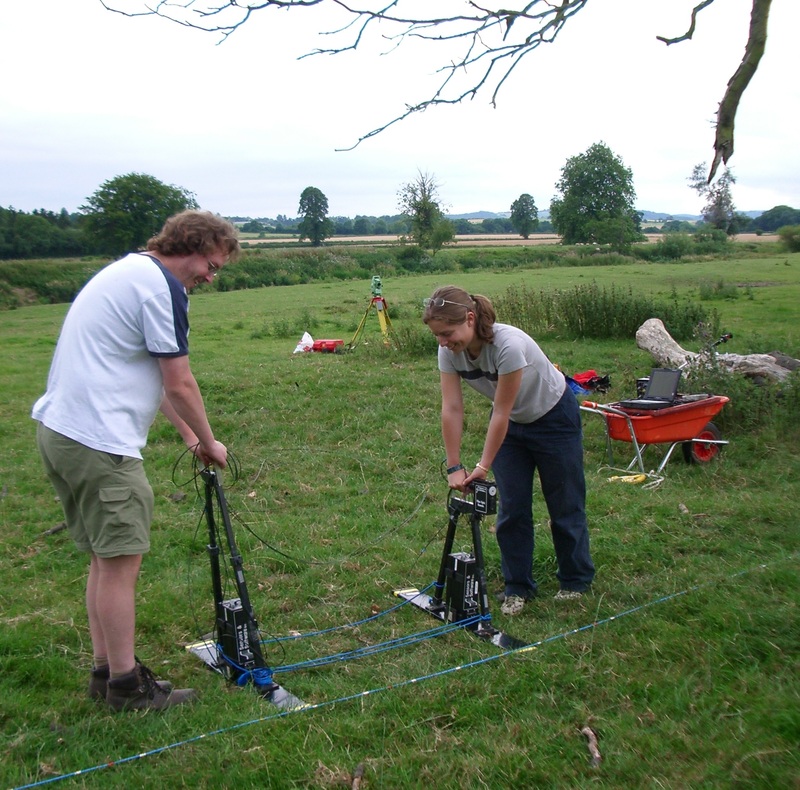 Fieldwork is fundamental to the disciplines represented within our School of Archaeology, Geography and Environmental Science (SAGES). Staff and students engage in fieldwork activities through research trips and field classes both in the UK and internationally. Fieldwork is the foundation stone on which we build our research. 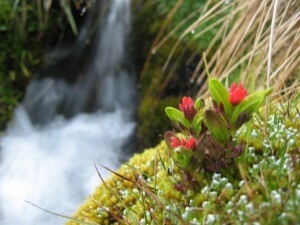 The success of our scientific findings and academic publications depends on the outcome of our campaigns in the field. Behind any successful fieldwork data set there is, however, much more than simply logistics and data gathering. 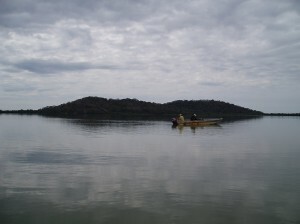 When we work in the field we rarely do so in isolated conditions. Often fieldwork includes working/liaising with local organisations/charities, community engagement, and/or impact (both environmental, and in terms of a legacy for the community). What skills can be gained from fieldwork? It is important to highlight that often fieldwork requires teamwork. Each team member has an important role to play, and this should be valued. I believe that besides the innumerable skills that can be gained from fieldwork, there are also the skills that are required to conduct teamwork. Each team member has an important role to play, and it is good to recognise and value it. During fieldwork you not only apply old and new skills, but you also learn to apply these skills within a team. It is almost as if you are multiplying the skills you are learning – those gained from individual planning and fieldwork, and those gained from being part of a team. Gender and Fieldwork is a 12 month School wide project running in SAGES – what does this mean to you? Gender is a theme that is central to any discussion of fieldwork in our respective disciplines, in particular the gender roles and gendered experiences of fieldwork and the associated opportunities and challenges around being in the field and careers in fieldwork. Men and women work together in the field. It is important to recognize that male/female academics, students and research staff may experience very different challenges in the field. We want to ask the question – How has gender influenced your fieldwork experiences? The L’Oréal-UNESCO For Women in Science Programme recognises the achievements and contributions of exceptional females across the globe by awarding promising scientists with Fellowships to help further their research. Over 15 years ago L’Oréal and UNESCO founded the For Women in Science Programme to promote and highlight the critical importance of ensuring greater participation of women in science. 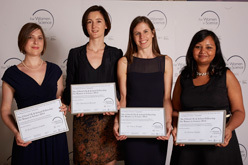 Each year the Programme recognises the achievements of exceptional female scientists across the globe, and awards them with Fellowships to help further their research. Since the Programme was founded in 1998 more than 1,300 women in 106 countries have been recognised for their research and received funding to further their careers. After arriving from an eight hour car trip to our base site in the city of Cochabamba, we then went to a remote site in the middle of the Andean mountains. This was our first study site, and took a 4 hour drive, plus a 4 hour hike to get to. 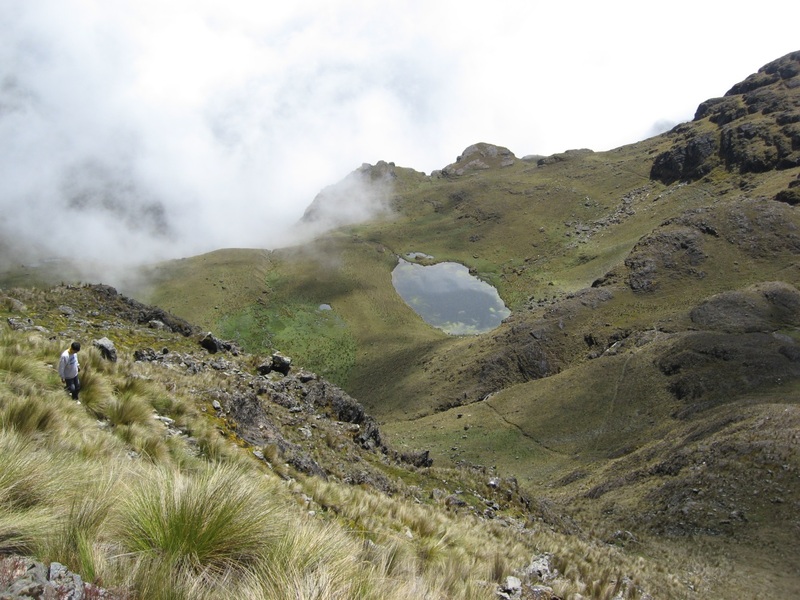 We found a gorgeous landscape at an elevation of 4,100 meters, hardly visited by humans, and surrounded by grasslands with patches of gorgeous, highly diverse forest (our reason to be there). We were there to work and camp for five days. The extreme absence of humans, the silence, the wind, the birds, the sound of the branches of woody plants when bending in the wind, were all evident from the moment I left the car. Breathing seemed so evident, not an autonomous action anymore, the air was pure and crisp. An enormous freedom; freedom from pollution, from noise, from commitments, and from normal life. When I go to remote areas for field trips I find my life cleared out from all those things that seem to be like mosquitoes around my head. I clear the clutter. I like to think that these opportunities are like a sieve, I sieve my life, and I hold onto the things that are useful, and matter to me. Nature. Enjoying one of the best things of this field trip: nature at its maximum expression. Can you believe these flowers growing at an elevation of 4,000m? Air/oxygen. How we overlook it, and oh dear, I missed it while I was there! At an elevation of 4,000m you have almost half of the amount of oxygen available compared to when you are at sea level, and I can tell you, it is little. As I mentioned in a previous post, when you walk, you notice it, even when you first talk. Walking is hard! My male colleagues in the field were counting their heart rate, and they found that even in a resting position (lying down in their tents before sleep) they had a heart rate similar to the one they would have when running at a low elevation. That, ladies and gentleman, is hard. You struggle to breathe and your performance is far lower than what you are used to. Even though it was hard there was still a silver lining as we would have to stop quite often to recover a more gentle heart rhythm, and were “obliged” to have a look at that gorgeous landscape. I didn’t complain. Khomer Kocha site. An example of the amazing landscape I had the chance to appreciate every time we stopped to catch our breath. Notice our helpful driver on the left of the photo, he helped us carry our equipment for several hours and then drive himself to his home (taking him another four hour drive). Water. It was not ideal, but there was a reason for us going into the field during the rainy season, but I won’t get into the details of it here. Imagine those abundant and inescapable tropical rain storms, add summer temperatures, and now mix them with high elevation: a recipe for thunderstorms. By the evening of the second night we noticed how the clouds that were under us were now coming closer and we sheltered in our tents. Not much later we noticed the rain start, heavy rain…. Well, not just that, but also an enormous and angry thunderstorm. 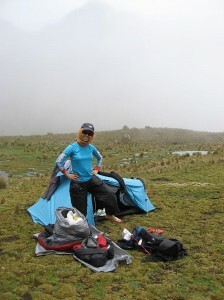 You would see the light from the inside of your tent like camera flashes shooting at your tent (the paparazzi in the high Andes?). Three seconds later the sound of thunder would follow making my hair vibrate. Coming from an Andean country myself I had experienced this many times, but never so close. 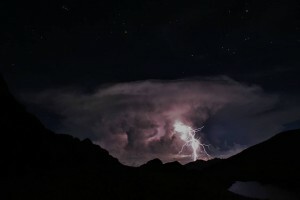 The thunderstorm went on like this for the whole night. Although I was restless I was tired enough after the intense working day to fall asleep. When I woke up at 4.30am, my tent was a pool, and my sleeping bag had soaked up as much water as available (a lot of water!). Everything was wet, including inside my tent. I went out to check on my colleagues. They seemed to be okay, they were all sleeping. Although it was cloudy the storm had stopped. There was snow outside… it was cold. We just managed to change our camp to a higher, more drained area, and a new thunderstorm started. For safety that day we remained in our tents. That was the longest day of my life. I had to stay for the whole day lying down inside a wet sleeping bag and tent (in which I didn’t fit sitting as it was very low). That was a hard day. Were the elements against us? I don’t think so, it is all a cycle and thanks to the abundant water supply we had plenty of water to drink and to recover after our exhausting hiking days. 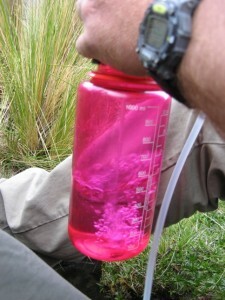 There is no way we would have been able to carry so much water there… we needed that rain. Delicious freshly made. Our very well equipped colleague Chris brought a fabulous water pump that would produce litres of filtered water from wild running streams in just minutes!! Here in action. Sun/heat/fire (?). When it wasn’t raining, it was hot as a sauna during the day. Imagine the radiation at that elevation? From the international scale of 0-11+ for UV index, considering 11 extreme, we were above the value of 14. I guess it is needless to say how we felt. Our high metabolism trying to pump as much oxygen as possible to our body while we were working did not match well with the heat and the radiation. Of course we used sun cream protection, long sleeves, hats, sunglasses, etc. But that didn’t stop us from experiencing the sun. And although it sounds extreme, I was so grateful when, two nights after my tent got flooded, I saw the sunshine coming up at 5am. I literally took everything out and happily experienced the heat drying everything, aaaahh! Such a blessing. Adored by ancient civilizations, and me! the God Sun. Drying up everything, including my feet. Do I also have to mention that when the sun appeared in the morning those were the most amazing sunrises I have ever seen? 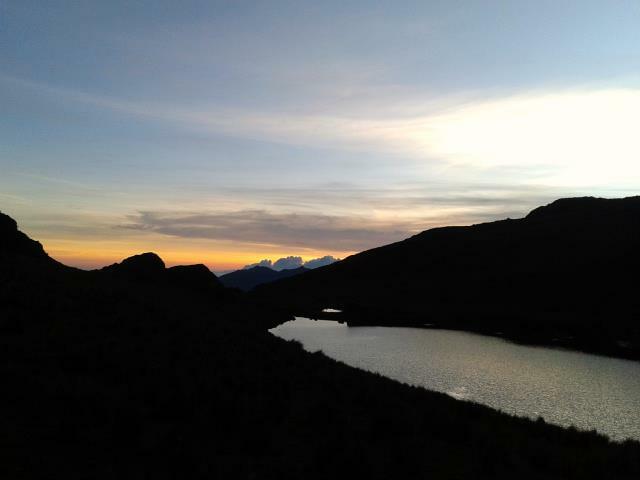 See further posts from Macarena on the 7th November 2014 (Fieldwork and Empowerment), 3rd December 2014 (Beloved and Complicated Bolivia 1) and 14th January 2015 (Giving Back in Field Research). 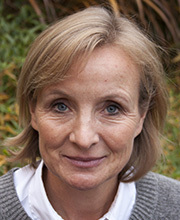 Athene Donald is a Professor of Physics in the Cavendish Laboratory at the University of Cambridge working on soft matter and Biological Physics. She has an active interest in issues around women in science within the University (WiSETI) and outside (Athena Forum), as well as in equality and diversity more generally; and a growing interest in education and science policy. Athene holds a variety of positions on committees etc, but her blog (see the link above) is written in a purely personal capacity. One of the valuable lessons from my fieldwork was that progress can be SLOW, and that working in the field can be a test of patience, as much as it is an opportunity to be energetic and resourceful. 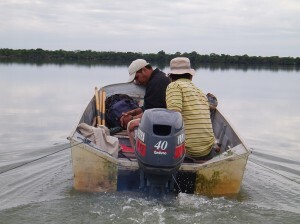 My PhD fieldwork took place in the south-west Amazon region, in lowland Bolivia. When I tell people this, the first word to come up is usually “exciting”. The excitement of visiting an exotic country, and travelling to its remotest parts for some real Indiana-Jones-style adventuring. While it is true that doing this kind of fieldwork offers unique experiences, I remind people that it’s fieldWORK, not fieldHolidays. What one seldom hears about is the potential for boredom and frustration. Fieldwork often involves a lot of waiting around for things to happen, people to get back to you, for conditions to be right. These are all especially so when you are in a foreign and/or developing country, where bureaucracy, social customs and ideas of urgency and timeliness can be quite different to what you are used to. In these circumstances there are two options: 1) continue to worry and drive yourself crazy or 2) accept that things will take as long as they take (whilst still doing what you can to make sure things don not take any longer than they need to). The following is an example of an occasion when I learned about the advantages of being patient. In summer 2011 we were in a remote town called Bella Vista, near to Bolivia’s north-east border with Brazil. This was all work for a palaeoecological project looking into the historical environmental impact of ancient Amazonian societies, who have left an incredible legacy of monumental earthworks in this region. 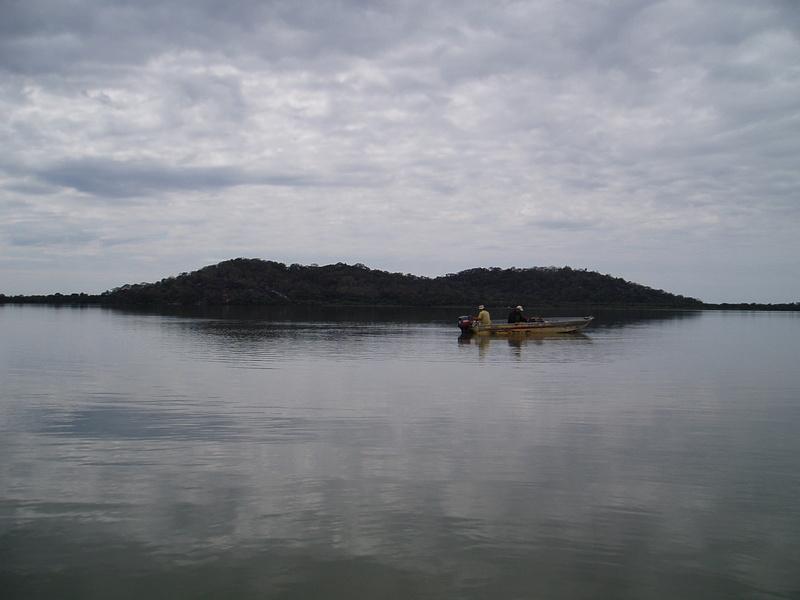 Our aim was to take sediment cores from a number of target lakes that we had identified as promising, because of their close proximity to archaeological sites of interest. Since being in Bella Vista, we had already successfully cored one small lake close to the town. This was hard work done floating out in the open in conditions so hot it was difficult to do simple mental arithmetic. Still we managed to get a nice deep core and finish in only one day. Now it was on to our next target lake, Laguna Orícore, where I was hoping for a similarly rapid outcome. A juddering speedboat ride up the river took us to our camp, on the edge of a small estancia (cattle ranch), that occupied a wedge of grassland between the river and the lake. That first day after landing, we went to take a look at the lake and its surroundings. It was a big lake, 3.5 km across, but like all of the enigmatic square-shaped lakes in this part of Bolivia, it was shallow, at only about 2 meters deep throughout. Around the edges of the lake there was a thin strip of forest. The girthy buttress roots of the trees intertwined and overhung the water’s edge to make a natural jetty; quite handy for getting into and out of the water. We had arrived reasonably early and much of the day was left. As such, I was eager to get started, but there was a problem. What seemed like only a moderate wind was agitating the water surface and creating some reasonable sized waves. This was a product of the “fetch” or accumulative effect across the surface of such a big lake. These were bad conditions for coring. To get a vertical sediment core it needs to be taken from a stable platform. Trying to take one from a coring rig that was bobbing around on choppy water was not a way to do that. Being impatient, I was keen to press on anyway, but speaking from his position of experience, my supervisor Frank recommended that we wait for things to settle. Waiting around in that grassland did not seem like fun to me. In the town we had left behind the relative comfort of the WWF ranger’s station, which had hammocks, (cold) showers and beds protected by mosquito netting. At the estancia however, we slept in tents, which were no barrier to columns of biting ants on the march, and at night the cows attracted apocalyptic swarms of mosquitoes. They were undeterred by the smoke from our fire and we found that the only thing that would keep them away was spraying ourselves with copious amounts of high potency DEET. It took two days for the weather to calm down enough for coring. In the meantime, we decided that, given how big the lake was and how long it would take to paddle to the middle on our not very hydrodynamic coring rig, it would be useful to move the steel speedboat that we had driven up the river, across to the lake. The boat and its engine were HEAVY, and helping to move it across the c. 500 meters of grassland between river and lake taught me that a 5 ft Bolivian park ranger was worth about 3 of me in terms of carrying strength. Over the two days we also took the chance to wonder around the landscape. I walked through the riverine wood with our botanist colleague Daniel as he surveyed the plant species. A group of us climbed a rocky outcrop, which lined the north-west margin of the lake, to get a better look at the landscape, and to take pictures, like the one above (see picture 1). We noted that the outcrop supported drought-tolerant tree species, which would be significant later on for our interpretation of the lake sediments. We also discovered that the cracks in the rock were filled with colonies of writhing, squeaking bats, hiding from the sun. After surveying the wider landscape, we went fishing for piranha in the river, using lines with no poles and bits of beef jerky as bait. My first taste of barbecued piranha was a positive experience. One of the most pleasant things was going for a swim during the late afternoon in the bath-warm water of the lake, and washing off the dirt and the DEET. John’s research interest lies in investigating both human influences on the environment and natural past environmental change over the Holocene period (past ~10,000 years), especially in the Amazonian Neotropics. There is growing evidence for a long history of pre-European (pre-AD 1492) human occupation in Amazonia, by populous societies whose lifestyles were settled. 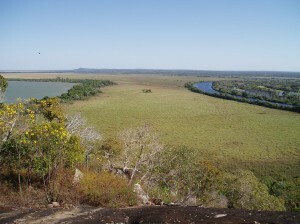 As such, a more complex story of the development of Amazonian ecosystems over the Holocene, which involved the interaction between climate, vegetation and human land use, is emerging. John’s approach is a palaeoecological one (past – ecology), which uses biological proxies to reconstruct how environments have changed over time. He also applies palaeoecological data to help answer archaeological questions about pre-European Amazonian societies. Fundamental questions remain regarding these societies in many regions. How large were their populations? How did they manage the landscape? What is the chronology (timescale) of their occupations? What was their subsistence strategy/what crops did they grow? 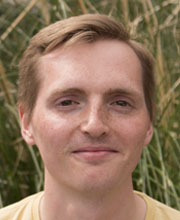 John received his undergraduate degree in Geology and Archaeology (BSc) from the University of Birmingham in 2008, completed a Masters in Environmental Monitoring, Modelling and Reconstruction (MSc) at the University of Manchester in 2010, and in 2014, gained his PhD in Tropical Palaeoecology at the School of Geosciences, University of Edinburgh. 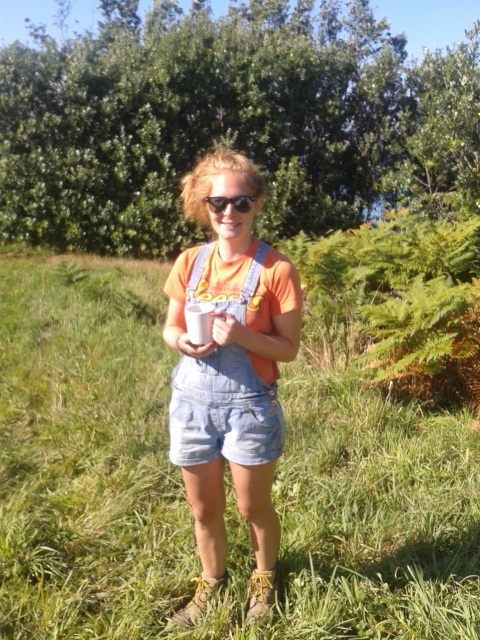 Macarena multitasking in the field. 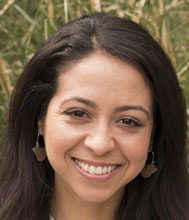 Macarena Cardenas (see blog posts from the 7th November 2014 – Fieldwork and Empowerment, and 3rd December 2014 – Beloved and Complicated in Bolivia 1) has highlighted a Special Issue of the Journal of Research Practice – Giving Back in Field Research, edited by Clare Gupta and Alice Bridget Kelly. I love being out in the field, rain or shine (or sleet or snow), as long as I’m not being chased by a horse or a cow (some terrifying experiences there). I spent several years working on the floodplain of the River Severn in Shropshire monitoring the water pathways over and through the floodplain sediments. The idea was to use this data for modelling the flooding processes and hyporheic exchange of waters during a flood event. However, instrumenting the floodplain was much more difficult than I had anticipated. I quickly realised that fieldwork was pretty hard and having someone with field experience on the team was the key to success, especially when it came to siting and wiring up equipment. However, even though our transects of tensiometers never worked (possibly because members of the team had played with them as lightsabers) and the cows destroyed one of the main enclosures only minutes after we’d finished building it, we did get some useful data on water pathways in the floodplain and more importantly I had an awful lot of fun in the field. There is something about fresh air and/or beating rain and/or knee deep mud that truly warms the soul. I also spent hours watching the eddies spinning off of some of the best meanders in the country. As an environmental modeller fieldwork also plays another function, one of ‘keeping it real’ and I heartily recommend a bit of fieldwork to all modellers out there. The immense complexity of floodplain sediments can only be really appreciated by getting your hands dirty taking soil cores, subsurface radar profiles and most importantly eating your sandwiches under a tree watching the way the microtopography and the vegetation influences the surface runoff in the pouring rain. In the last few years since my children arrived I’ve had less opportunity to go off on a fieldwork ‘jolly’, as the responsibilities of childcare pickups, even perfectly juggled with my husband, do not lend themselves to any long days that aren’t top priority. Research fieldtrips are so easily crowded out by conferences, workshops and other meetings, which are usually in windowless conference rooms. I do miss those eddies and slinging on my wellies. Hannah Cloke is a hydrologist and physical geographer specializing in land surface modelling, flood forecasting and catchment hydrology. She works closely with the Environment Agency, the Met Office, the Flood Forecasting Centre and the European Centre for Medium-Range Weather Forecasts as well as a wide range of other national and international partners. She advised government on the Jan/Feb 2014 floods crisis and provided substantial expert commentary in the media. Hannah is currently a member of the of the Environment Agency-DEFRA R&D flood science programme advisory group. 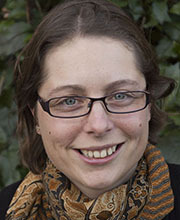 She is a member of the NERC Peer Review Panel C, Floods theme coordinator for the International Hydrological Programme (IHP): FRIEND network, and a committee member of the EGU Hydrology section: Catchment hydrology. She is on the editorial board of the journals Meteorological Applications and Hydrology and Earth System Sciences and is guest editor for Hydrological Processes. 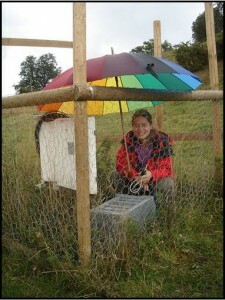 Hannah is an active member of the HEPEX project and recently served on the British Hydrological Society committee.